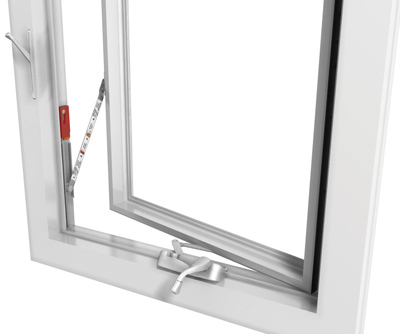 While components have been introduced previously for hung/sliding windows, it wasn't until now that a reliable engineered solution for the hinged window market has become available. Truth Hardware's new SafeGard™ Window Opening Control Device is that product. SafeGard is a reliable, easy to install and easy to operate solution which meet today's more stringent safety requirements such as ASTM F2090-10.